I believe that at least some of the flowers in this gallery are Spotted Knapweed, or star thistle, which is an introduced species that is listed as an invasive plant in much of North America. This biennial or short-lived perennial thrives on disturbed sites. The name “spotted” is derived from the spots formed by black margins on the flower bract tips. 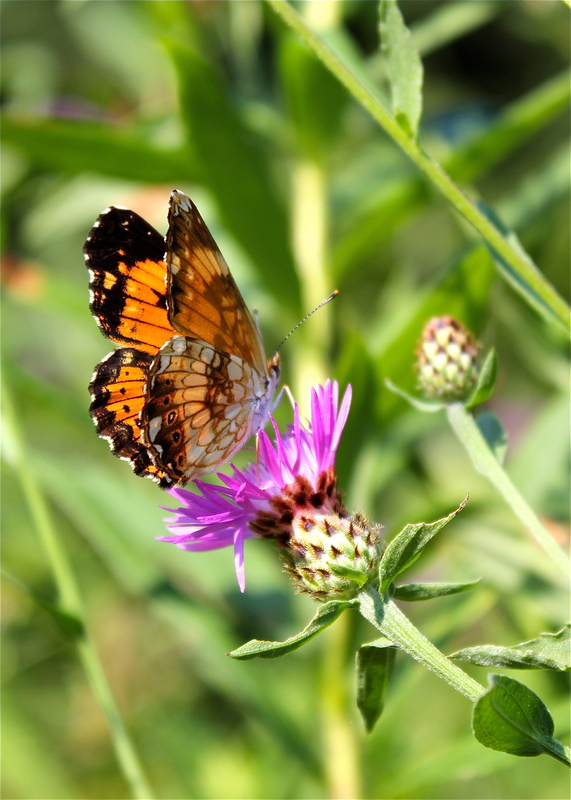 The flowers of spotted knapweed are pink to purple and have a cone of bracts below the flowerhead that looks a bit like a basket. I’ve included some leaf images here as well, so if there’s an expert out there that can key these flowers to species, I’d be grateful. The plants here were photographed in July and August, growing abundantly in abandoned hayfields near Blacksburg, Virginia. Thank you! You’re right! I appreciate the help! !